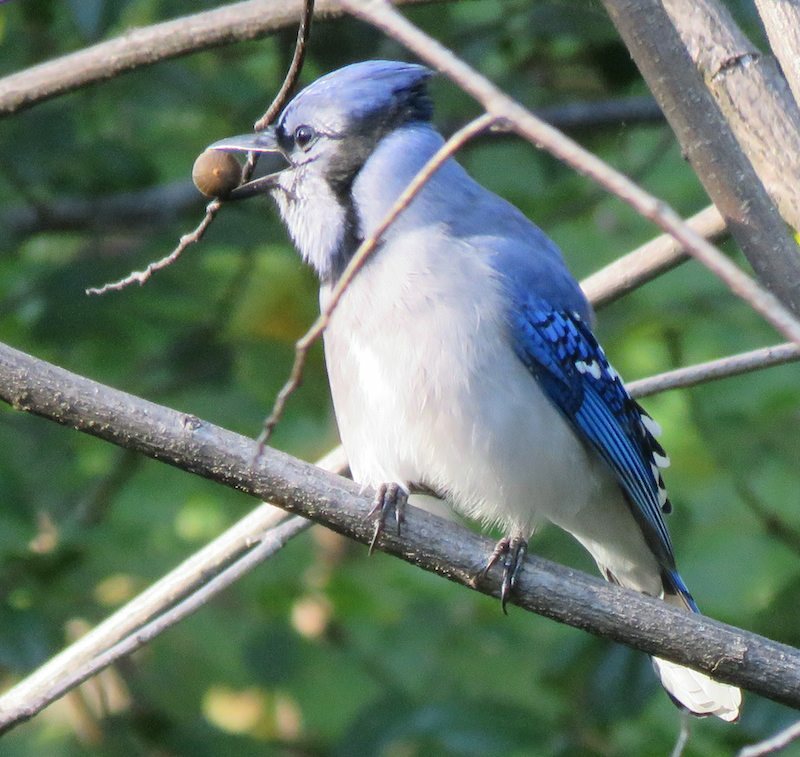 Blue Jay in Arlington, Virginia (in my backyard). This is one of those picture I simply could not get before I bought my new camera (a Canon PowerShot SX60 HS Digital Camera with 65 times optical zoom). Birds are still hard to photograph but now at least occasionally I get a decent photo of birds. Photos copyright John Hunter. Blue Jay is available for use as creative commons attribution. Only photos noted as available as creative commons attribution may be used without permission (in the manner described only), other photos may not be used without permission.